We offer control systems dedicated to the management of equipment used in bulk materials technology. We have many years of experience in the production of vibration control systems and pneumatic devices used to recovery flow in tanks and silos. 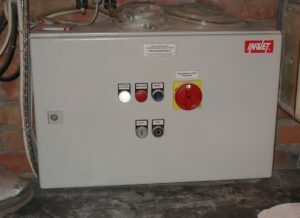 We also offer control systems for vibrating transport and dosing of materials. 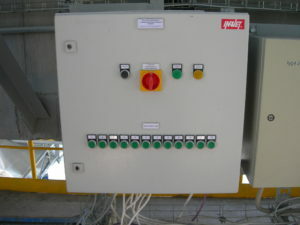 Control systems are based on components from leading automation manufacturers. Each order we treat individually, trying to propose a solution that takes into account the control systems functioning at our customer, the arrangement of the systems in the distributed control and visualization system. We offer a comprehensive project implementation through prefabrication of cabinets, implementation of control applications, installation in the facility, training and technical consulting.